Life doesn’t always go to plan, and sometimes problems arise while out on the road. While these problems are a burden, our Land Rover finance center in Little Rock serving Conway can sure help prepare for these unpredictable headaches. Purchasing a new car is a major investment, and shoppers want this investment to be well worth it. The unfortunate truth is that vehicles require more service the older they get. While our Land Rover service center in Little Rock near Conway will be happy to help with routine maintenance and repairs, we want to make sure each ride is protected even after the manufacturer’s warranty expires. 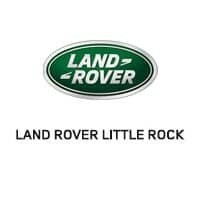 To learn more about each coverage option and how we can help keep your car protected, contact Land Rover Little Rock by calling us at (833) 664-6127.